On this episode of Dugout Blues, before Jared and I are a day late and (many) dollars short, but we have fresh #content for you. The Dodgers went 4-2 last week after losing 2-of-3 to the Cubs and sweeping the Mets. They hit all the dingers, because dingers are good, actually. Proof? The Dodgers are 16-2 this month when they homer, 0-3 when they don’t. Hat tip to Mr. Joe Davis for that statistic. Enrique Hernandez was a standout and is pushing for more regular playing time. He’s getting it a little because Chris Taylor is dealing with a sore hamstring. That hasn’t prevented him from impacting the game off the bench, as he had a 2-run double in New York and what would be the game-winning home run on Monday night. Matt Kemp had a pinch-hit grand slam in New York because he’s awesome. He’s also second in the NL in All-Star voting among outfielders. Craziness. 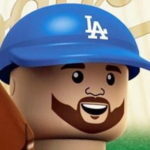 Cody Bellinger, Max Muncy and Joc Pederson all got in on the dong parade as well. The pitching was solid this week. Kenta Maeda was down in Chicago but dominated the Cubs last night. Rich Hill was up in Chicago before struggling in New York. Clayton Kershaw came back “pumping” 90-91 MPH with the fastball. Caleb Ferguson, the young buck, had four shutout innings in relief of Kershaw. Ross Stripling had probably his worst start of the season, and it still wasn’t that bad. On the farm, Rylan Bannon might be a GUY. He’s hitting too well to still be in A-ball, so hopefully that will change soon. The 2017 8th-rounder might end up being quite the steal for the Dodgers, if he continues to play well as he progresses through the system. DJ Peters is struggling a little bit, while Yusniel Diaz is hitting (but not for much power). Will Smith is hitting for power, as he hit five home runs this week. On the bump, Yadier Alvarez has a couple rehab starts in the AZL under his belt. He’ll be back in Tulsa soon. Tony Gonsolin is making some noise in the Quakes’ rotation and is about ready for a promotion, as is Dean Kremer, a personal favorite. Mitchell White is still struggling and that makes me sad. Also, 6th-round draftee Bryan Warzek signed an under-slot deal. Even though Jared says they’re close to $600,000 from going over the 5 percent mark, I have it at almost $475,000. Most of that money will go to J.T. Ginn and any post-10th-round high school and/or junior college prospects. We close with a Q&A, but I’m absent again, so I’m just going to assume y’all asked good questions.